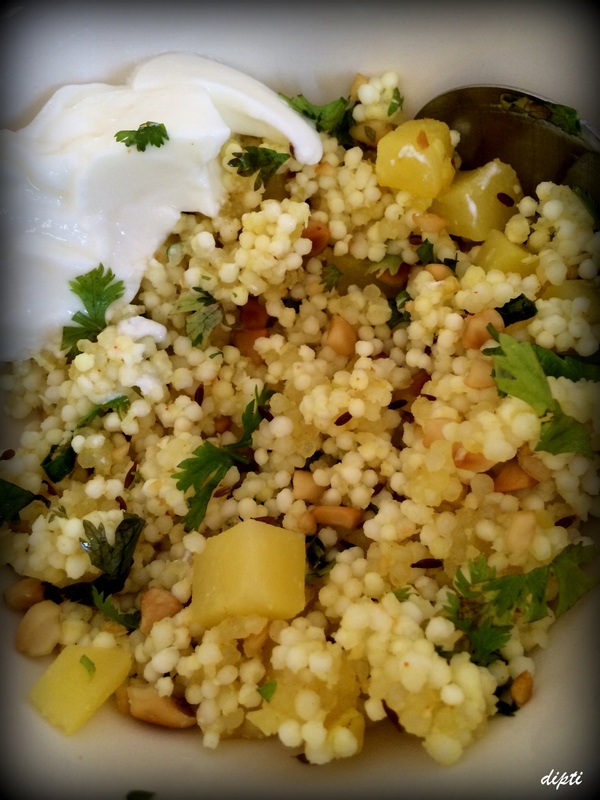 An almost non-existent and under-rated breakfast option, the ‘Sabudhana Khichdi’ (also known as ‘Sago’) may not mean much in terms of nutrition but a very delectable indian snack, easy to prepare. My earliest memories of it is having it on occasional Saturdays of the month when mom used to do a ‘religious fast’ and I got to enjoy this delicious snack! Unlike other Indian breakfast options, it is not too easy to find across indian eateries but a very popular dish in the western state of Maharashtra. Many many years later, I decided that it was time to make it myselt. And it turned out better than I thought it would! Simply delicious. One of my favourite comfort foods from India. And look at that, we use the same theme for our blogs!